The Trimrite professional repair system contains everything you need to repair damaged vinyl, plastic and leather upholstery and trim. For all your SMART trim repair needs! Easily repair vandal damage, telephone holes and scuffs to dashboard vinyl or leather. The Trimrite repair system is ideal for making quality repairs to rips and cigarette burns, or restoring and refurbishing cracked leather or vinyl to a superb condition. 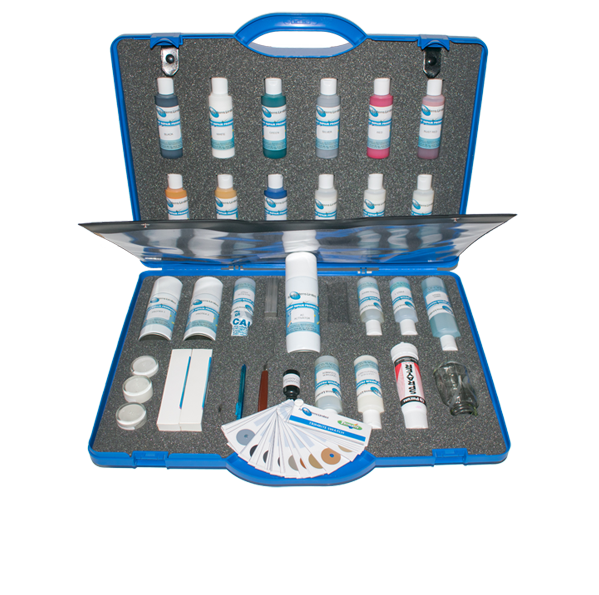 Our comprehensive kit includes an accurate colour matching Waterborne system enabling you to achieve the excellent results you require. The Colorite© range is available in 12 colours, ensuring you have always have the perfect tools for the job. For more information about our Trimrite Repair Kit click the button below to download the print friendly PDF brochure, or if you would like to receive a quote for this kit, please click the request a quote button.